After a day in Fort Worth, our final final stop in Texas was Dallas. 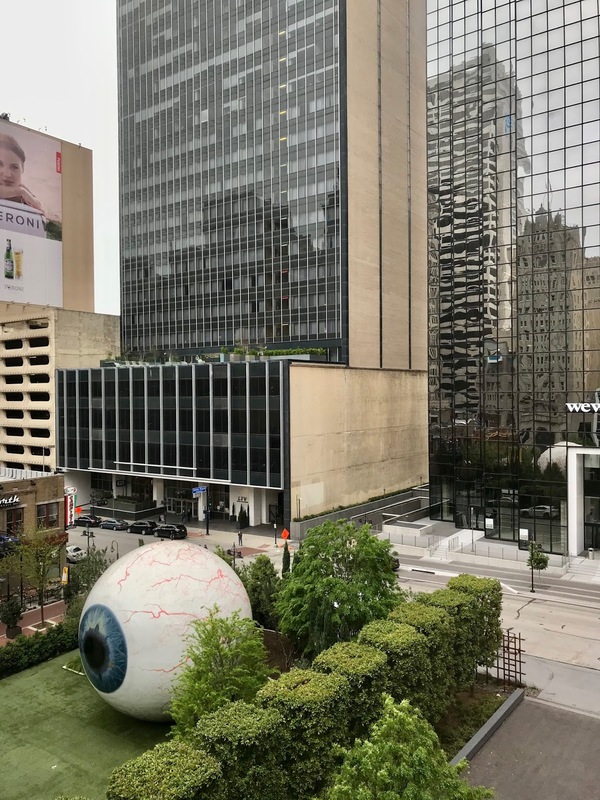 As I wrote in my last post, it was freezing cold in Dallas! Very strange and unexpected, and we were not prepared at all for 3 degrees Celsius, in Texas, in April! So our fun in Dallas was spoiled a little bit by the cold and the viscious wind, but that didn't stop us from making the most of our day. We woke up at the Belmont hotel, where we checked in late the night before. It's a historic hotel, outside the city centre. I'd read good things about it, so we booked it pretty last-minute. 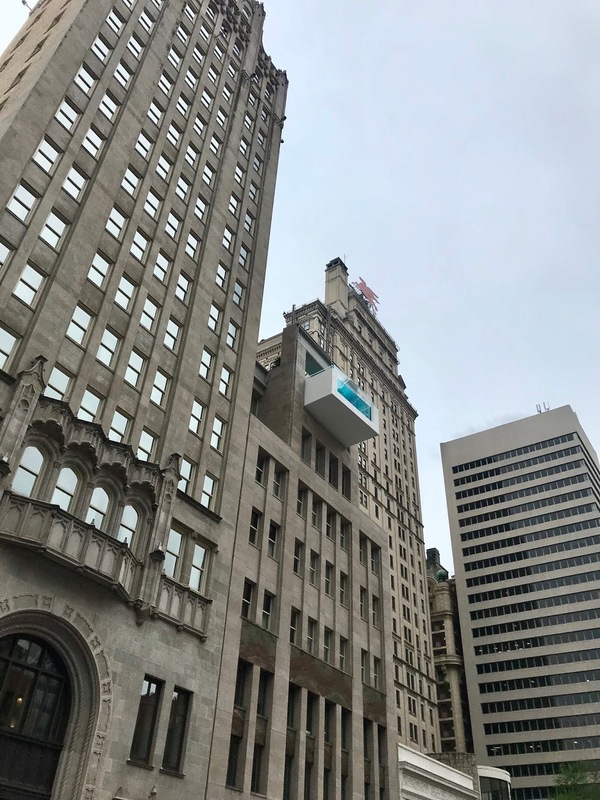 Sadly I don't really have anything good to say about this hotel. It was way overpriced, the rooms were super outdated (and creepy... it seemed like we were the only guests at this hotel) and the overall guest experience not nice at all. I feel like this place is being managed poorly, and this reflects on all aspects of the hotel experience. I don't often say this, but I would not recommend this place. 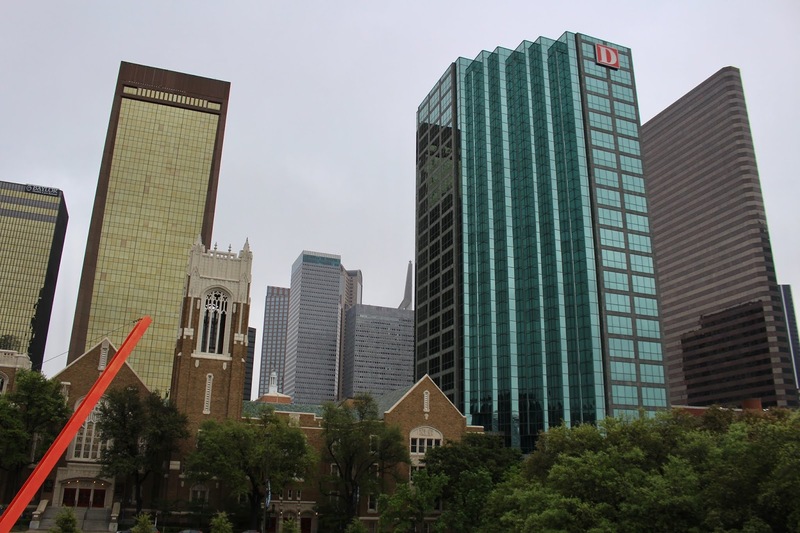 The only positive thing I can say is that the view on downtown Dallas is nice! The following morning we woke up to and icy cold Dallas, so we checked out of the hotel and went in search for breakfast in downtown Dallas. 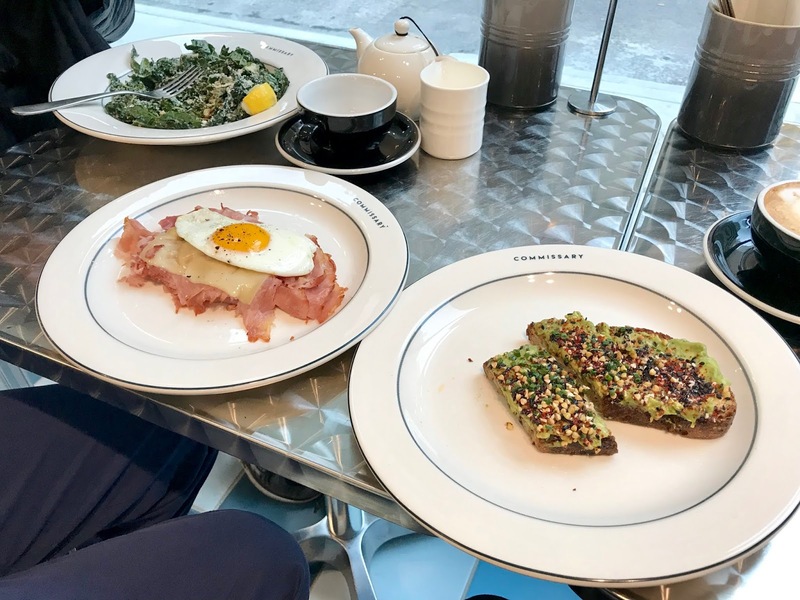 I'd stalked some Texan influencers to find out where we could have a nice brekky. A couple of them mentioned The Commissary, so this is where we settled for breakfast. It's a bakery/deli kind of place which was pretty bustling on this Saturday morning! 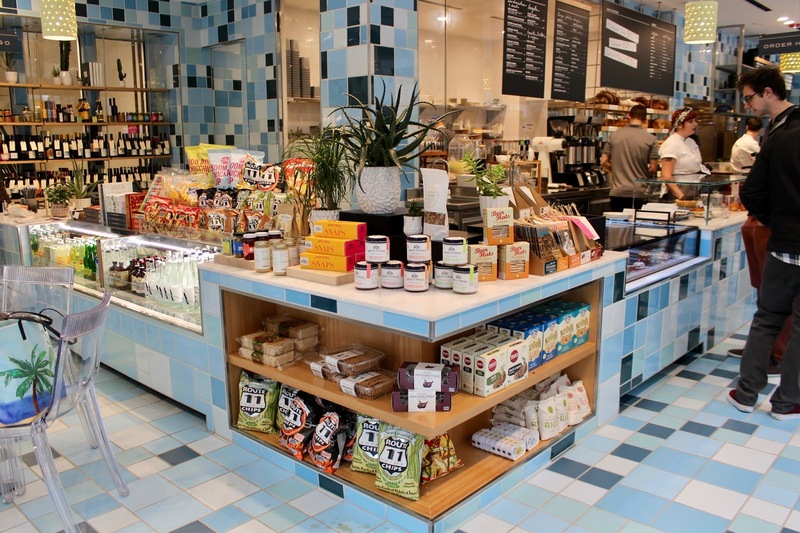 The thing that stands out is the design of the place, with thousands of tiles in different shades of blue. 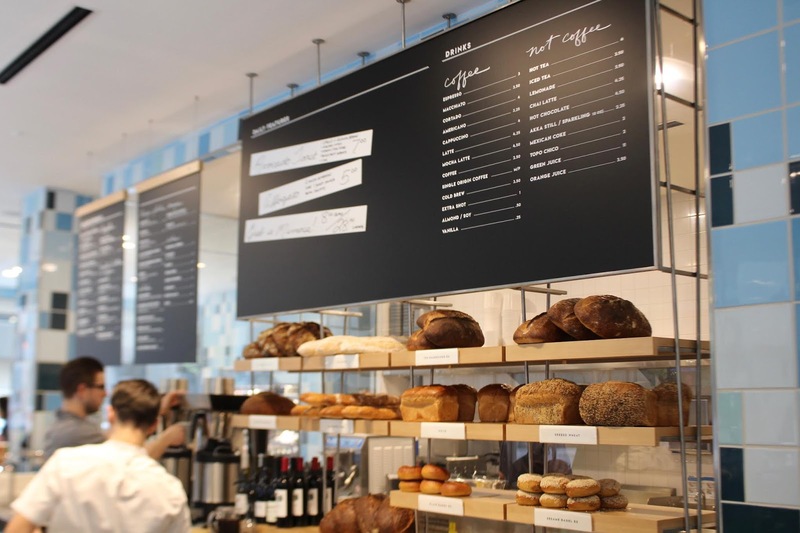 The breakfast offering is pretty extensive, with a focus on their freshly baked goods. 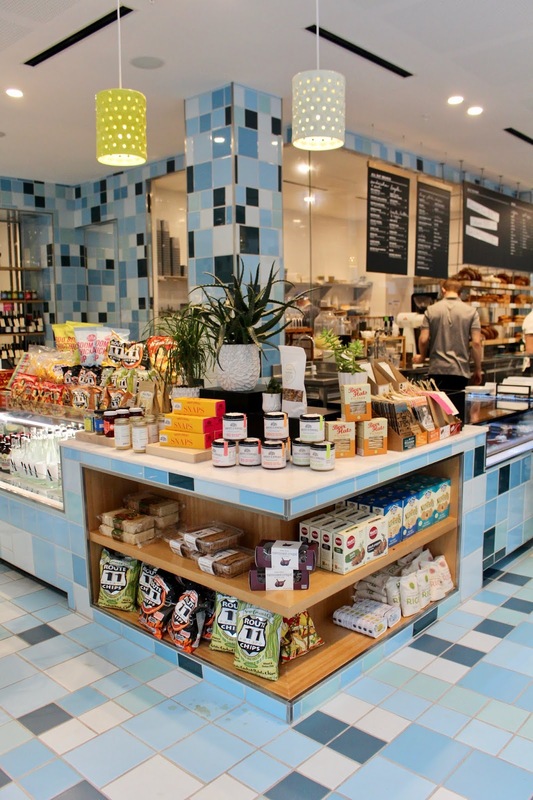 Definitely worth stopping by, even if it's just for a snack! 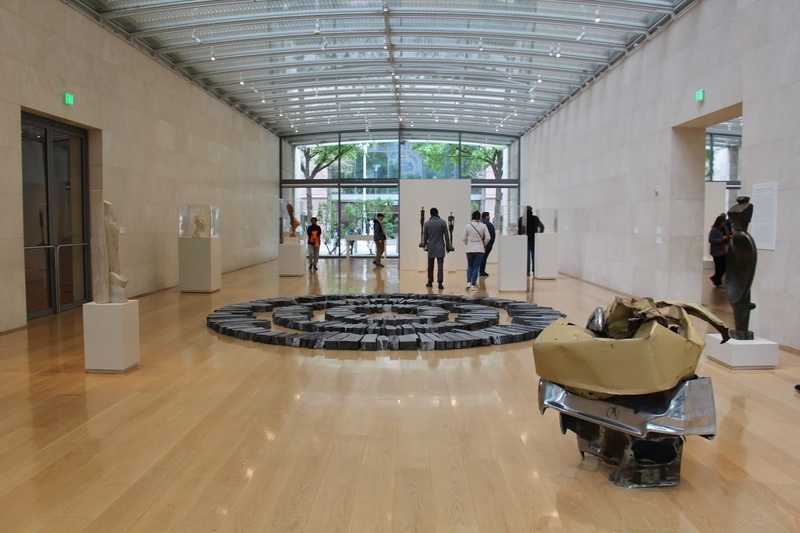 This museum houses Patsy and Raymond Nasher's collection of modern and contemporary sculptures. 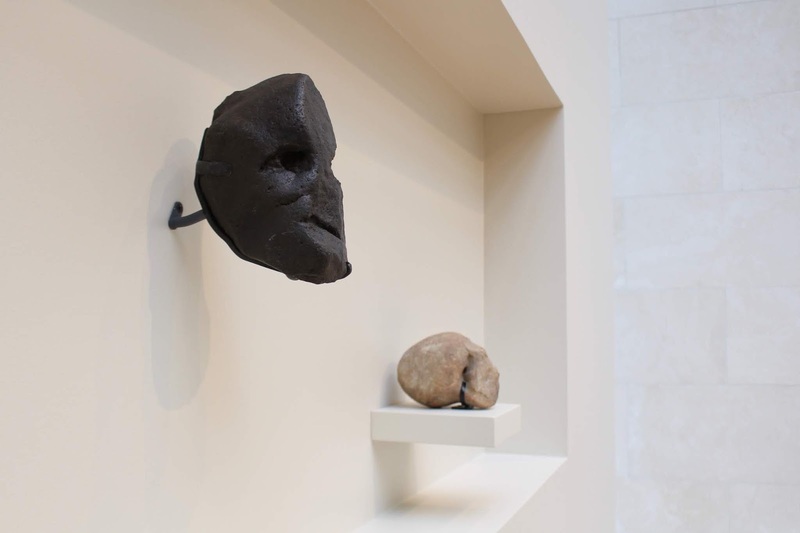 The permanent collection includes works by all the great scultors such as Giacometti, Brancusi and Picasso. 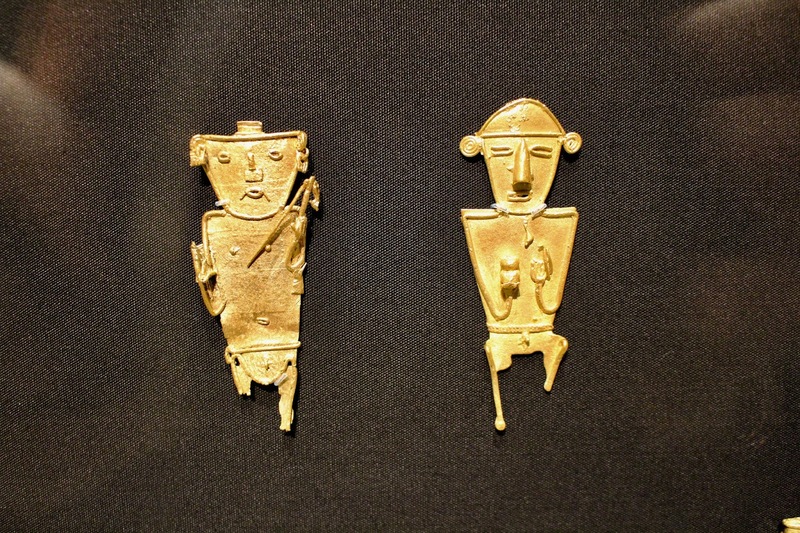 When we were there, there was a particularly excellent exhibition called First Sculpture: Handaxe to Figure Stone, an exhibition which presented ancient handaxes and figure stones as art. 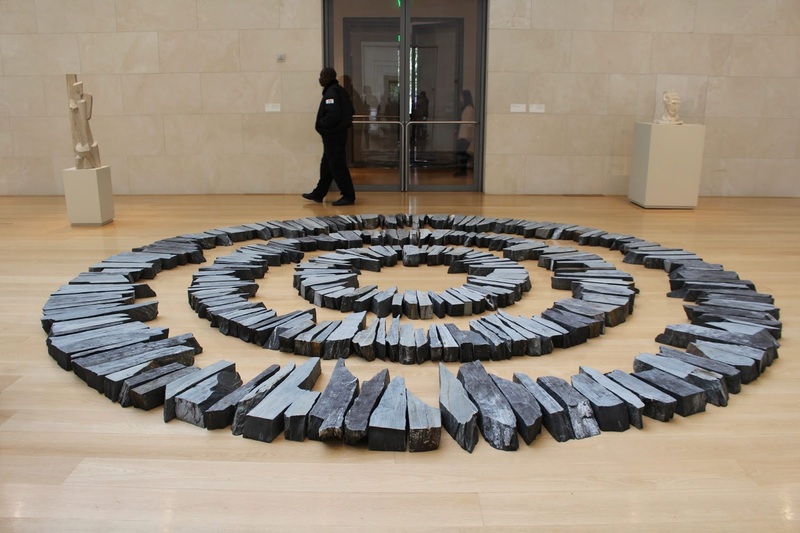 Outside, in the museum garden, you can find a sculpture garden with works by Serra, Calder, Miró and Deacon. 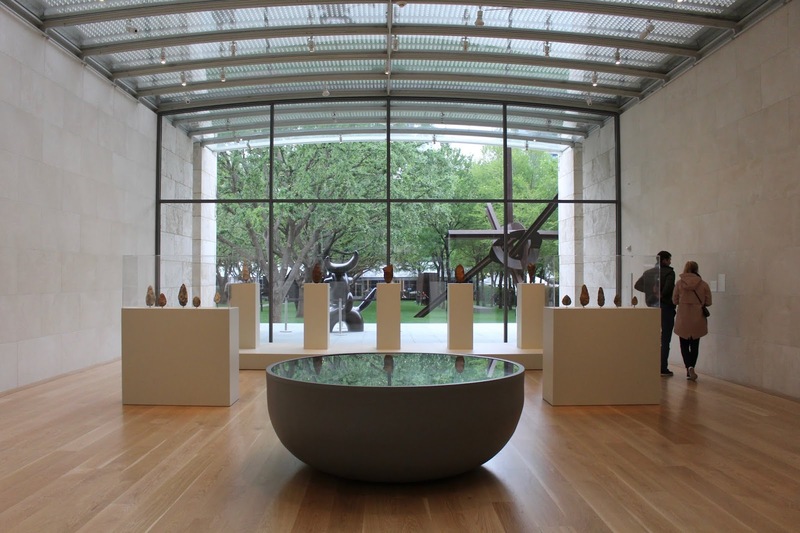 Our next stop was the Dallas Museum of Art, which I'd say is the Louvre of Dallas. This museum is so big, and you can easily get lost here for a couple of hours. 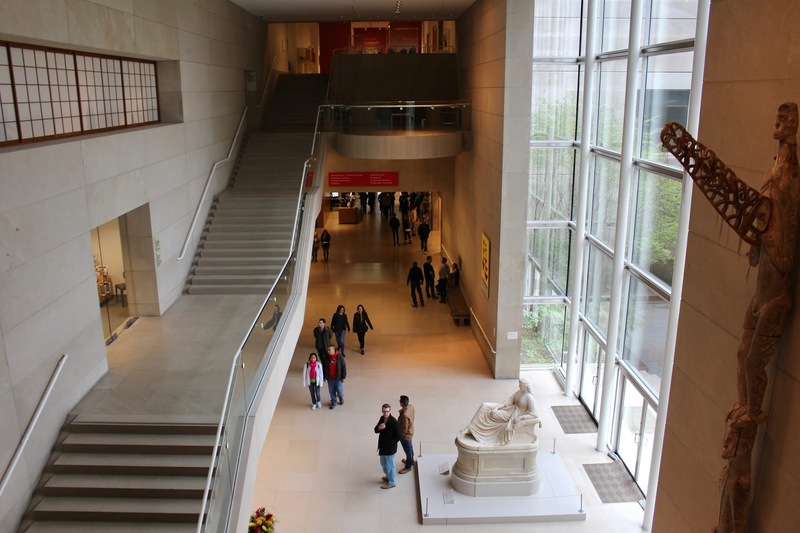 This isn't surprising, since it's one of the largest museums in the United States. There's a huge variety of art, from contemporary to classic, Asian, European, Pre-Columbian, Decorative, African and American. I think we spent more than two hours wandering around. 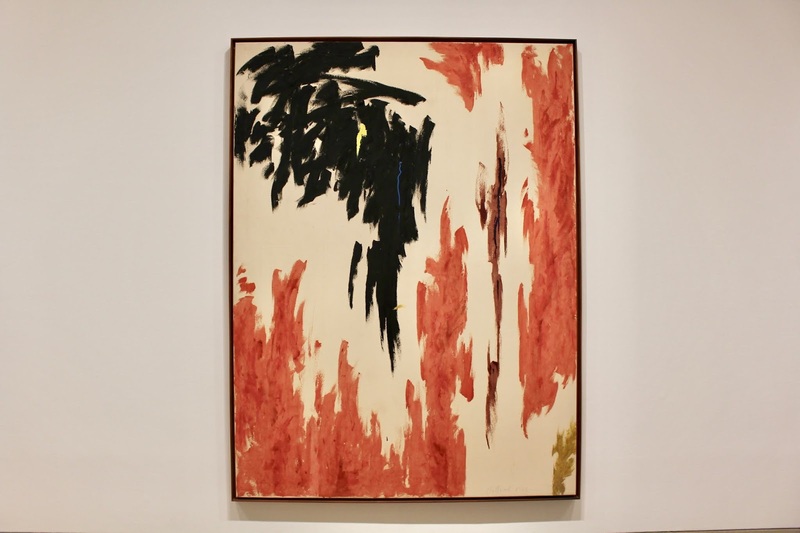 My favorite thing at this museum was this Clyfford Still painting. After way too many museums in just two days, it was time for a little change in scenery (which the men didn't agree with of course). 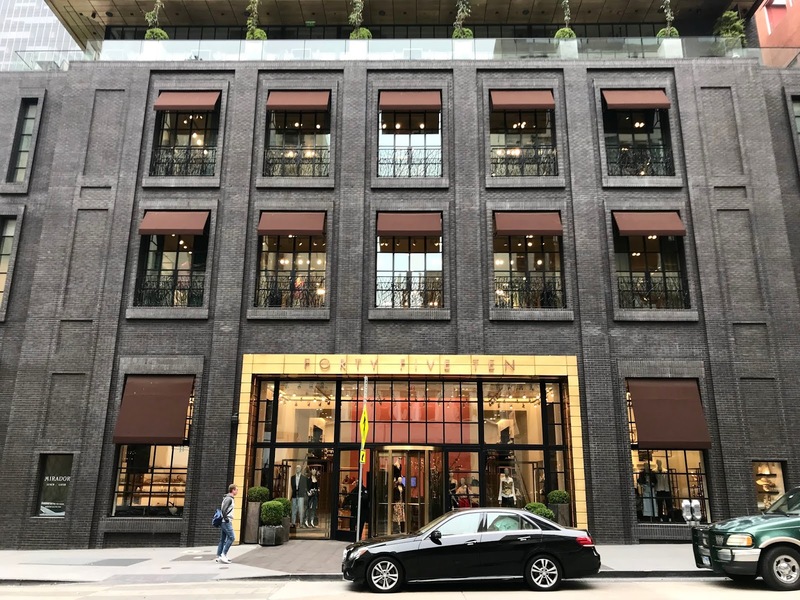 I'd read about this incredible department store called Forty Five Ten, so of course I had to go and see it. I wasn't disappointed, this is one of the most beautiful department stores I've ever seen. 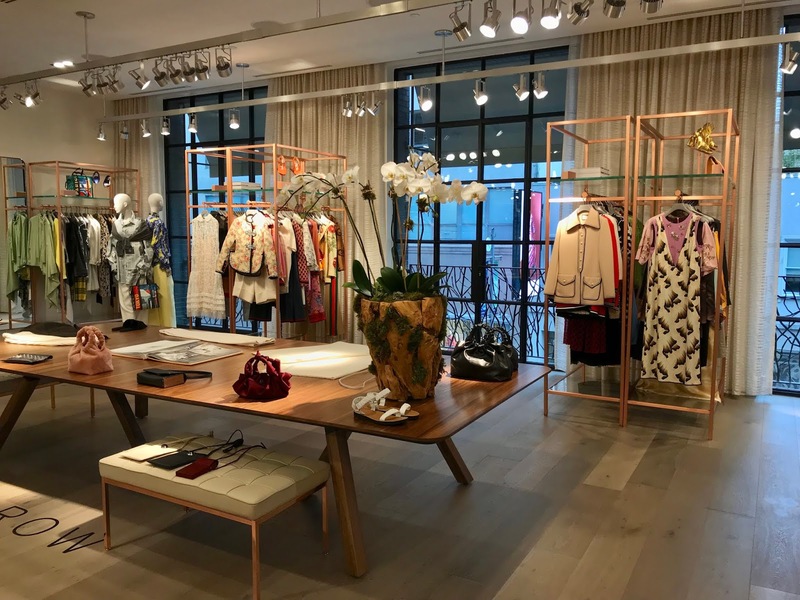 The collections are beautifully curated and the design of the store is really cool. Just dreamy! 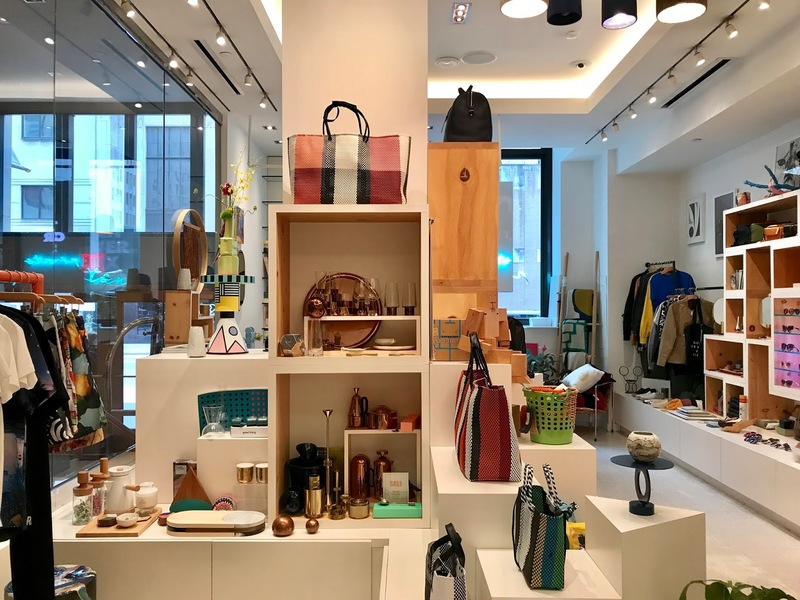 Apparently Forty Five Ten is venturing out to New York (Hudson Yards) in 2019, so I'm looking forward to seeing that! 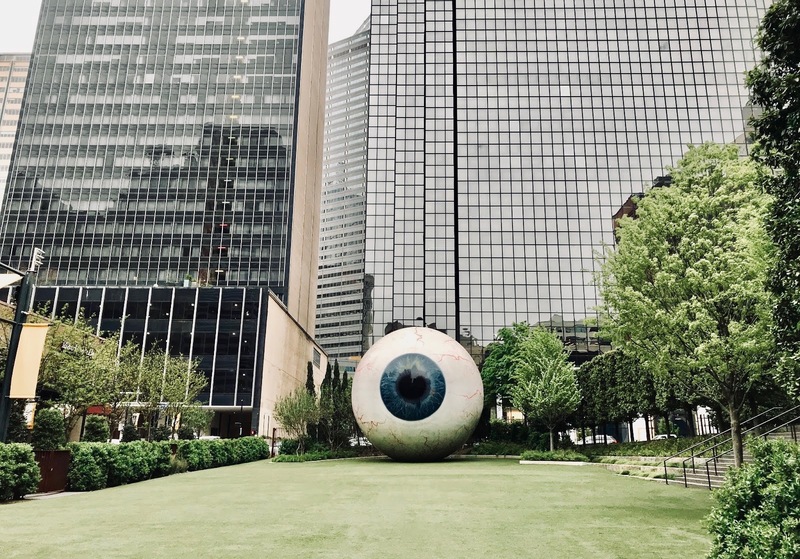 Forty Five Ten is located right next to Dallas' weirdest art installation, this giant eye ball. 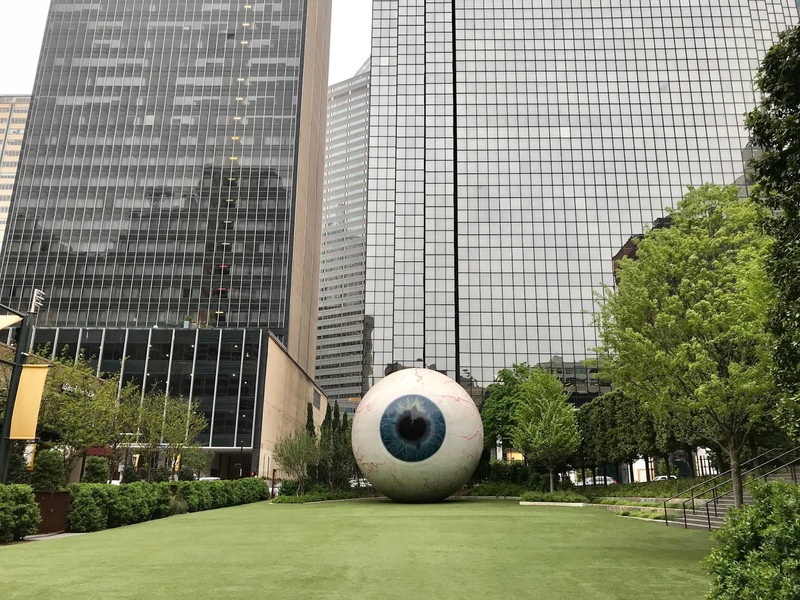 The Eye was placed inside The Joule's sculpture garden in 2013, which was - of course - commissioned by the Nasher Sculpture Center. Not the prettiest thing, but definitely memorable. Talking about The Joule, this is Dallas' finest five star hotel. The hotel most known for it's pool (which sticks out of the building!) 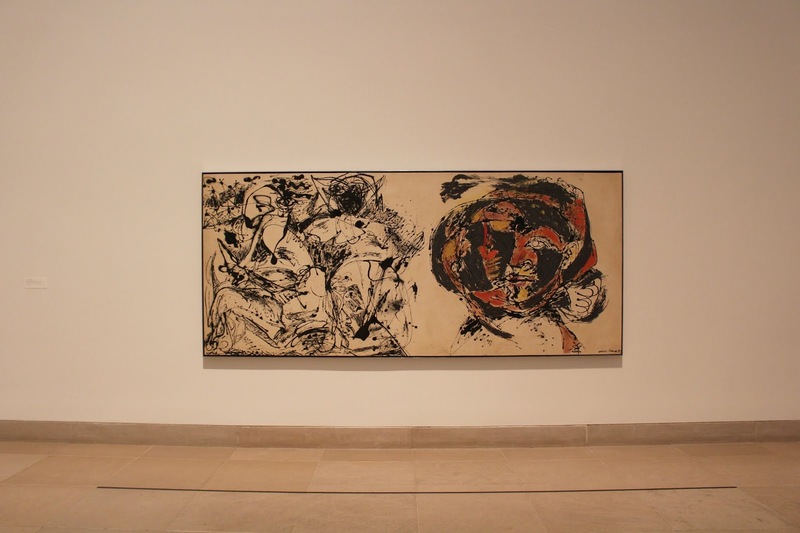 and its expansive art collection, including the above mentioned eyeball. I didn't think the hotel was particularly beautiful inside, but I think it's still worth seeing. What I did like a lot about this hotel? 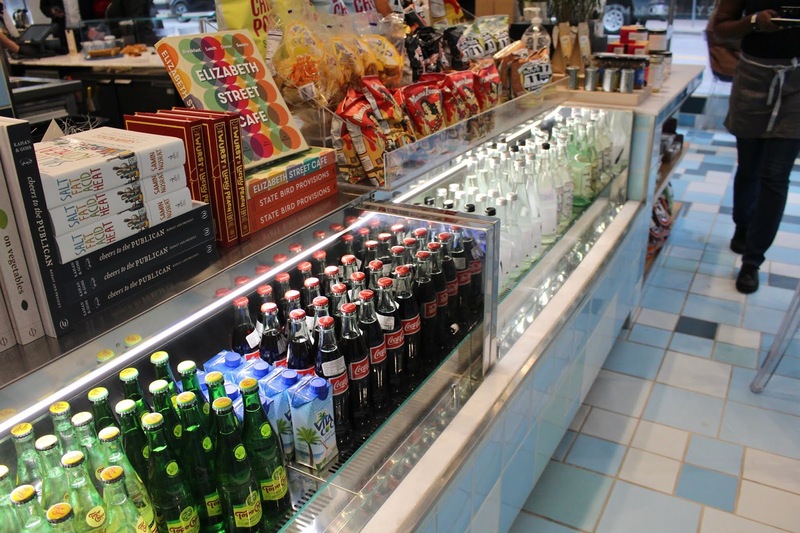 The store! 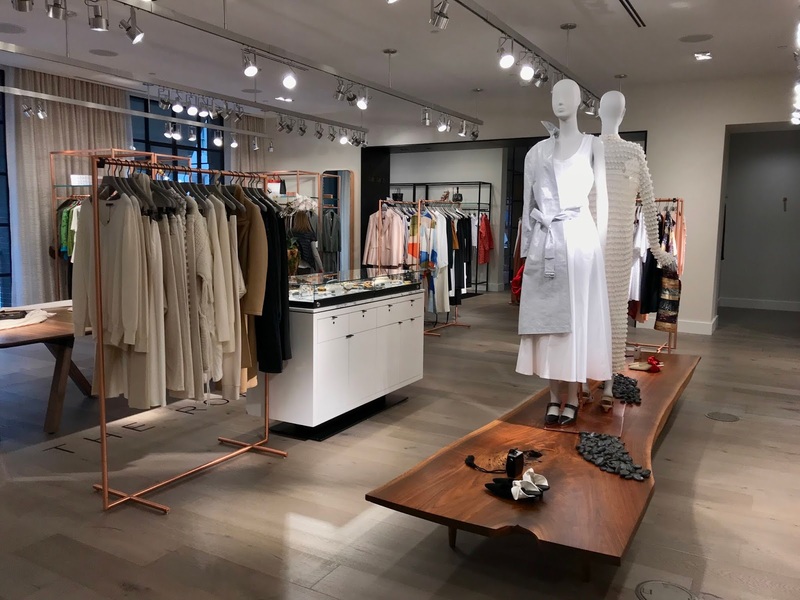 Hotel Shop by 4510/SIX is a beautiful womenswear store, curated by Fort Five Ten across the street. 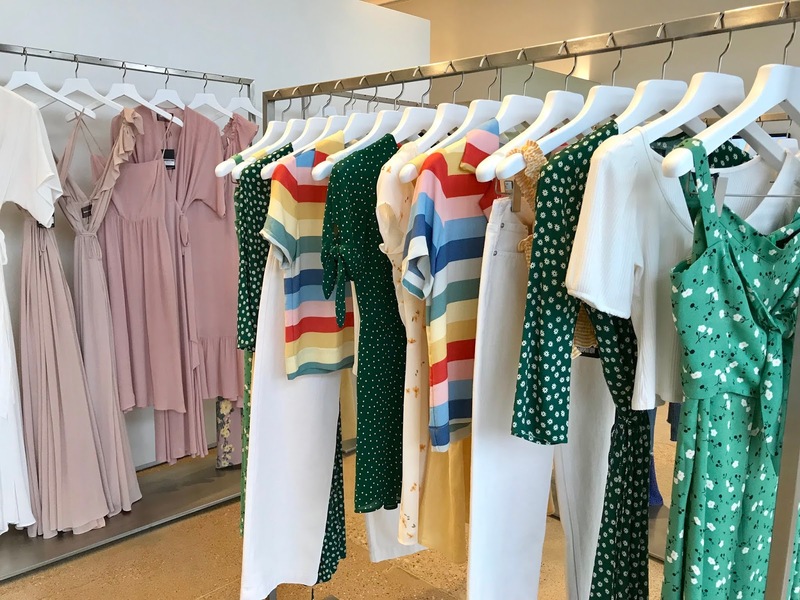 They sell a range of cool curated womenswear brands, of which I barely knew any! 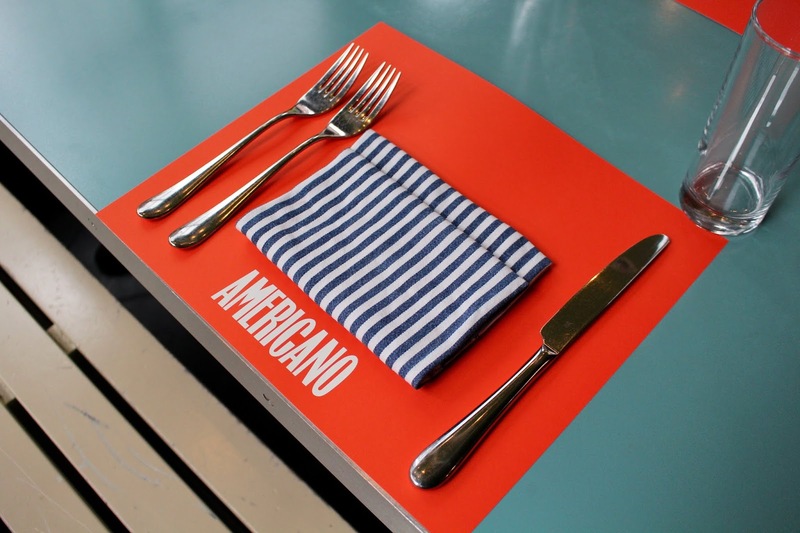 Continuing on The Joule theme, we ended our Dallas visit with a late lunch at Americano. 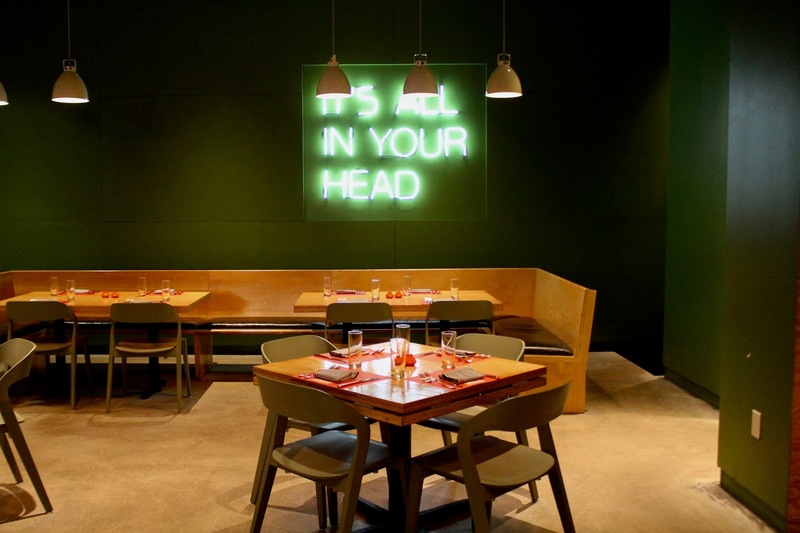 This restaurant serves Italian classics with a modern take. We ordered some wood-oven pizzas, which was just what the doctored ordered on this cold day! 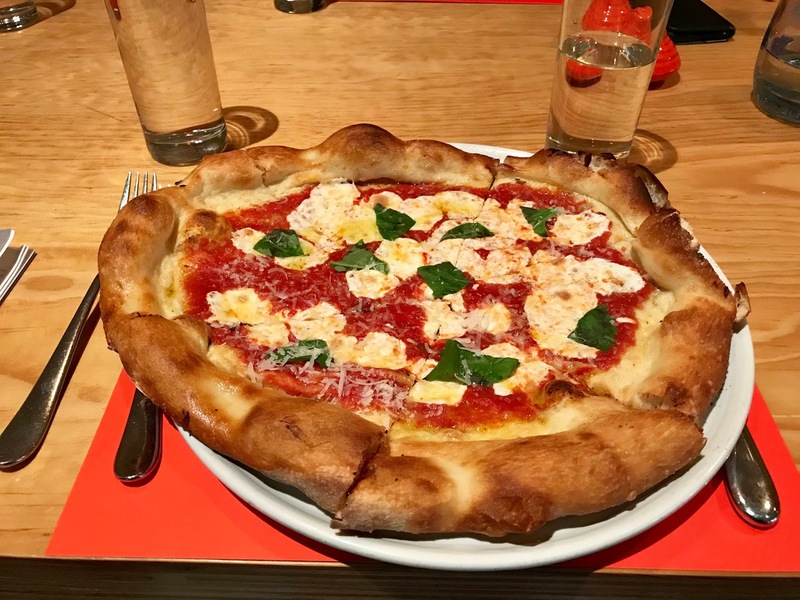 The pizza was actually really delicious, amazing crust and different than any other pizza I've ever had. 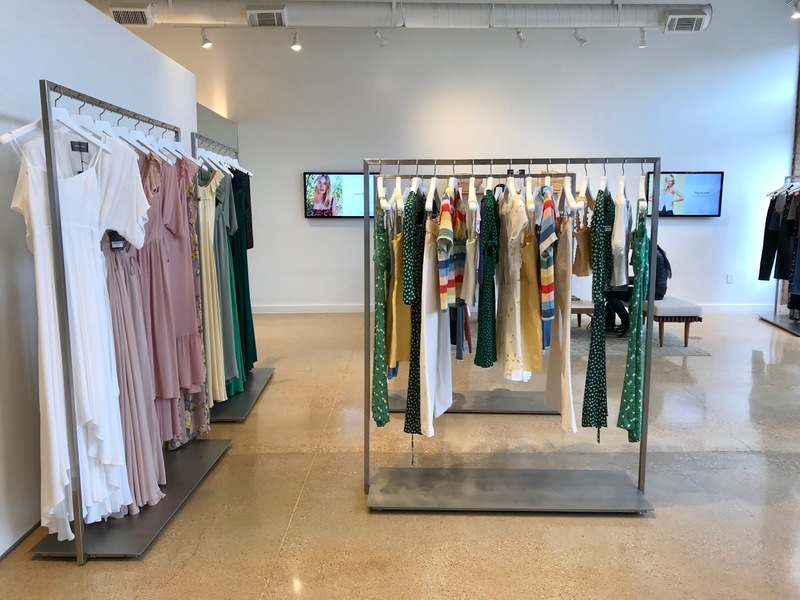 And last but not least, our final stop in Dallas was.... Reformation! 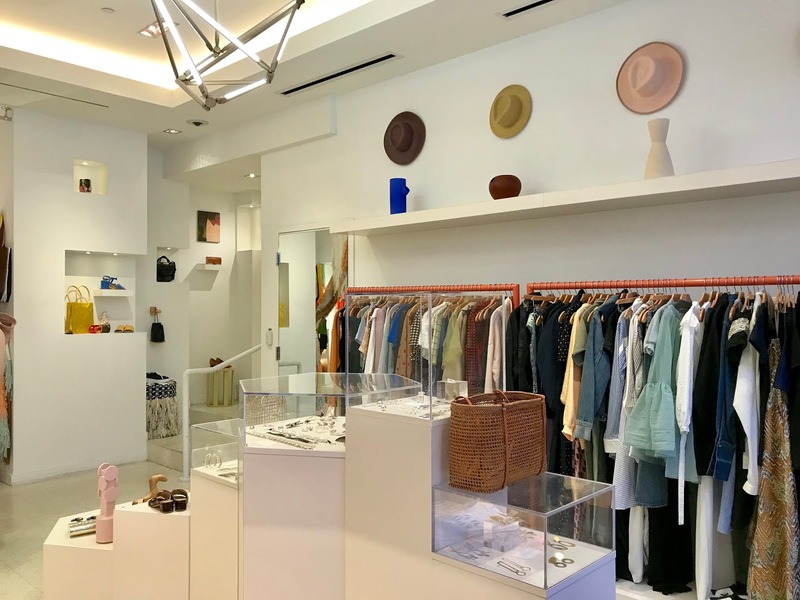 I fell in love with this Californian brand when I lived in New York last year, and I was really surprised to find out that there's a store in Texas (the only one!) 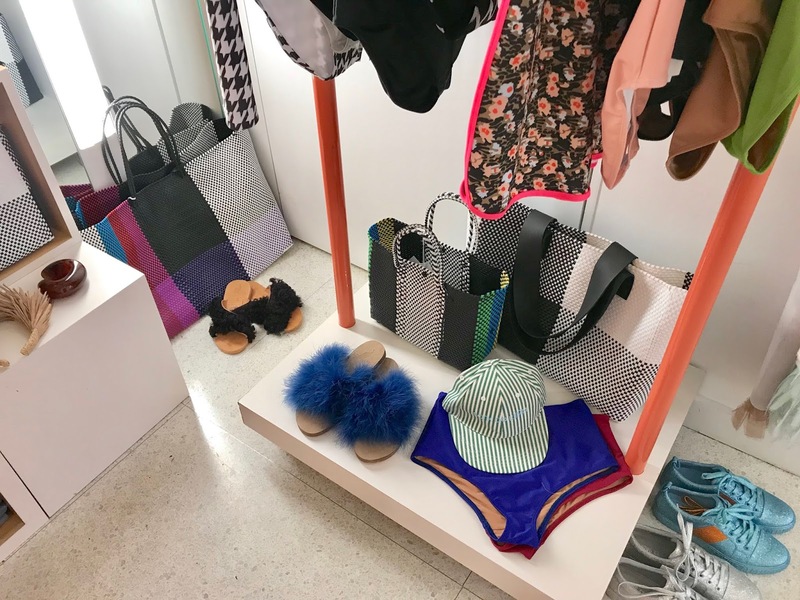 This store has big touch screens to "order" items to your changing room which creates a whole new shopping experience. And that was it for Texas! After Dallas, we drove back to Houston for a couple hours, and spent our last night there before flying back home. I really loved Texas because it surprised me in so many ways I never thought it would. I hope that my Texas series have convinced you to add this State to your travel list!